Don’t suffer for your generosity this Christmas – saving up beforehand can beef up your bank balance before the holidays arrive. The Christmas period can be hard on the wallet, and this isn’t helped by Christmas being a time where overspending is not only common, but encouraged! Here are a handful of tips on how to beef up your bank balance a little bit, so you’ve got extra cash for when the Christmas season hits. A savings jar can be an easy way of building up a small but noticeable reserve of cash that will definitely make a difference in the holidays. Buy a large coin tin or jar, and dump any stray coins from your wallet into it at the end of every day. Even just a couple of months of habitual coin-dumping can leave you with a small but worthwhile sum, and those coins are better off in the tin then they are being spent on a morning coffee. 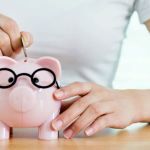 Even if you end up spending them on something dull and everyday like groceries or petrol, you’ve knocked an expense off your list without having to resort to using a credit card or dipping into savings. That’s a fantastic result! It sounds a bit trite, but we say it because it’s true; money not spent is money saved, and forgoing takeaway food and drink is an easy way to save. Coffee might not be your indulgence of choice but, if you’re forking out cash every morning on a pre-work latte, toastie, or bagel, congratulations – you’ve just found an easy way to save your money. Even though it’s late in the year, cutting out your $4 morning coffee in favour of making an instant coffee at work from November onwards could save you anywhere upwards of $100, and also potentially be a good move health-wise. For a more long-term approach to this idea, consider the money that future you could have access to if you invested that coffee money instead! 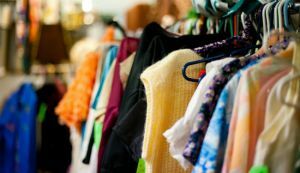 If you’ve got clothes you don’t wear anymore – maybe half the stuff that got handed out last Christmas sits around unused – then Trade Me and maybe even Facebook, can help you turn unwanted or unused belongings into cash. Even consider a humble pre-Christmas garage sale. 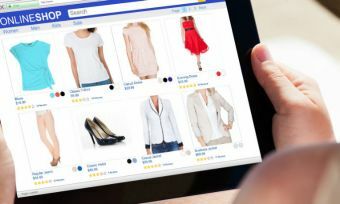 From ordinary household items like clothing, up to expensive pieces of technology and furniture, you’re likely to find a buyer near Even if your daily lunch is only costing you $5 or $6, that still adds up to $30 a week – if you were shopping smart, you could buy enough groceries for two week’s meals with that amount! Try having a look through social media and blogs for some cheap and healthy recipes. Whether you’re looking for deals on groceries or potential Christmas gifts, buying items that are discounted will certainly add up to savings at the end of the week or month. Grocery shopping is likely to yield several small saved amounts, whereas you’ll want to look for large discounts when gift shopping. That being said, don’t buy groceries you won’t eat simply because they’re on sale, as this will end up hurting your saving efforts by wasting money. If you take a finite amount of cash with you and leave your card at home every time you go out, you make it impossible for yourself to spend more than your daily budget. This can dramatically reduce the frequency with which you impulse-buy, making it so much easier to save money. 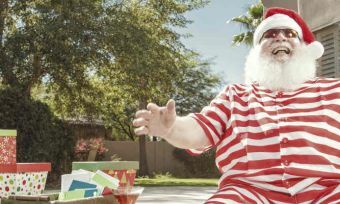 If you stick to these tips and seek out a few more for yourself, by the time Christmas rolls around you’ll hopefully have more than enough savings put aside to deal with the expenses of the holiday season.